Discussion in 'Effects, Pedals, Strings & Things' started by dangeroso, Apr 14, 2016. True bypass is cool, but not a deal breaker, as I keep a bypass loop on my board. I had an Ibanez Weeping Demon at one time. It's got a switch on the right side to turn on and off and can optionally be set to turn on when you put your foot on it. Big and ugly, but it really sounds nice, and lots of tweak-ability. Why would it matter WHAT switch it has if its in a looper? couldn't you just leave it on all the time and use the looper to take it out of the signal? G-lab Wah Pad. 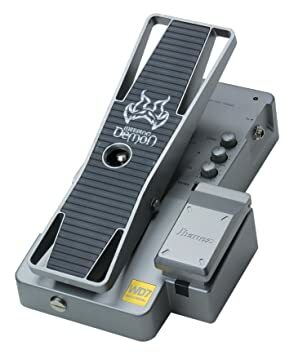 Sit any wah pedal on the metal pad, and when your foot makes contact with the wah, it activates the wah, without having to stomp on the wah switch. The instant that your foot is removed from the wah, your signal returns to true bypass signal- makes no difference whether your wah is true bypass or not, because the Wah Pad is true bypass. It works perfectly, exactly as advertised by G-lab. I bought one last year and I like it fine, but I don't really use it and it just sits in it's box. If the OP or anyone else wants to buy it, I am willing to sell mine for a good price- shoot me a pm if you re interested. There is lots of info on internet, and you tube demos of G-lab Wah Pad.